Nike and Paul George have another moon-landing inspired colorway of the Nike PG3 in the works. Earlier this year, Nike launched an orange spacesuit themed PG3, complete with Apollo 16 detailing and NASA-branded insoles. In further celebration of the 50th anniversary of the moon landing, Nike reportedly has plans to release the "NASA Apollo Missions" PG3 that George recently laced up on the court. 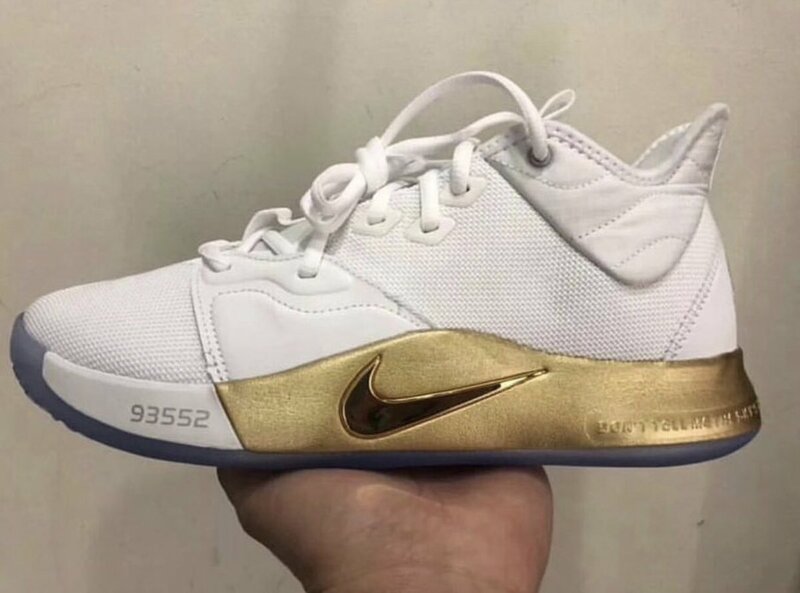 This time around, the NASA PG3 comes in a crisp, white colorway equipped with metallic gold detailing and the quote, “Don’t tell me the sky’s the limit when there are footprints on the moon," displayed along the heel of the midsole. Additional details include a NASA logo on the heel and the '93552' area code near the toe as a nod to PG's hometown, Palmdale, California. A specific release date for the Nike PG3 "NASA Apollo Missions" has not yet been announced, but it is believed the $120 kicks will arrive sometime in April.